Efficiency and customer focus have never been more important in business. Lean Six Sigma’s business improvement philosophy and suite of tools provides you with the expertise to improve customer satisfaction, reduce waste and achieve, sustain and maximise business success. Lean targets the elimination of waste, while Six Sigma focuses on analysis of data to reducing variation in your processes. This leads to better accuracy, higher productivity and greater profits. In short, Lean and Six Sigma combined can revolutionise how your business runs. 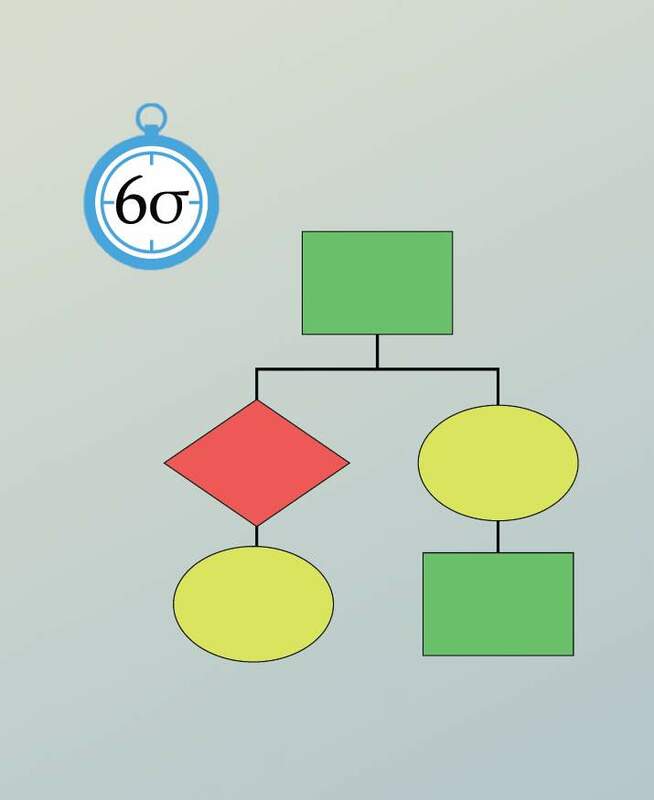 This training course is designed to explore the Lean Six Sigma methodology and how organisational improvement can be delivered by implementing Lean Six Sigma philosophy and tools. The principles of Lean Six Sigma and Lean Six Sigma improvement tools are applicable across a wide variety of industries, including service industries. This training programme is ideal for those involved in Engineering, Management and Quality functions, who wish to take the next step in career development, and become confident using Lean and Six Sigma methods to make process improvements and deliver sustainable savings to their organisation. 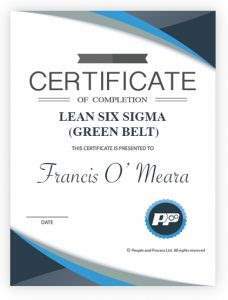 This course is also suited to people new to Lean Six Sigma, who wish to develop knowledge of the fundamentals of Lean and Six Sigma philosophy. This course will provide you with an excellent basis to develop you knowledge and skills. 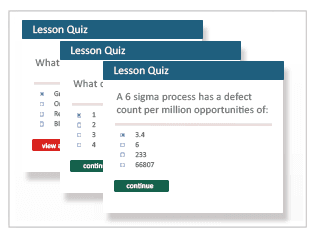 This Lean Six Sigma Course consists of 10 video lessons, each approximately 30 minutes in duration. At the end of each video lesson there is a quiz that will test your knowledge of the material. Students who successfully complete this programme may progress to our QQI Level 5 Certified Programme in Lean Manufacturing Tools. To see the full the full requirements for the QQI Certificate visit the course forum for this training course. Each lesson in this course has its own assessment quiz. These quizzes will test your understanding of the course material and your ability to apply the knowledge learned to real world marketing situations. It is recommended that you watch the video lesson several times before attempting the quiz. Brian has over 20 years management experience in the Life Sciences and Food manufacturing sectors. He is a Chartered Engineer, Masters in Information Systems and is a Six Sigma Black Belt. He is also an experienced tutor and mentor.